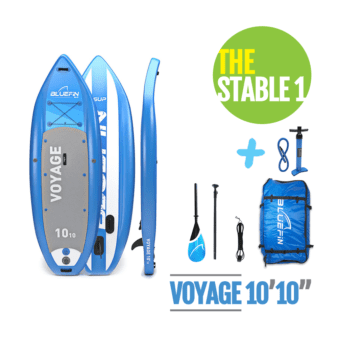 Our Inflatable SUPs are built to suit people of every age and ability. 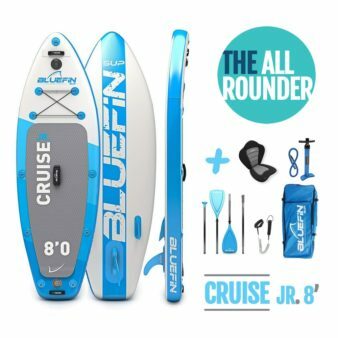 From Novice to Pro boarders, the Bluefin range of stand up paddleboards has something for everyone. 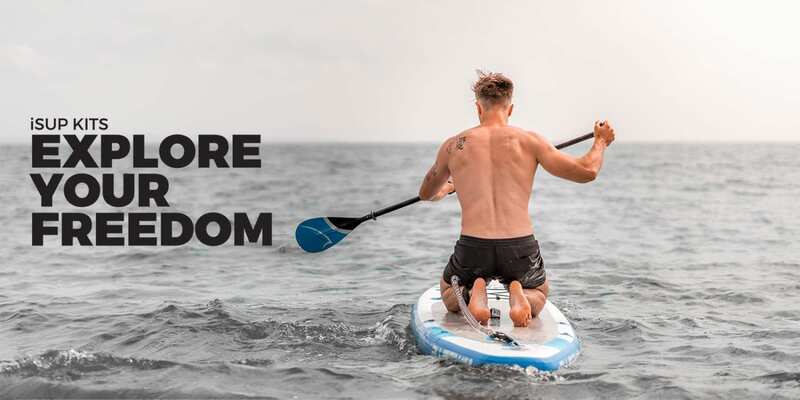 We build our paddleboards with you in mind so you can guarantee a high quality and long lasting product. Our inflatable SUPs are made from military grade PVC with overlapped seams for stiffness and durability. 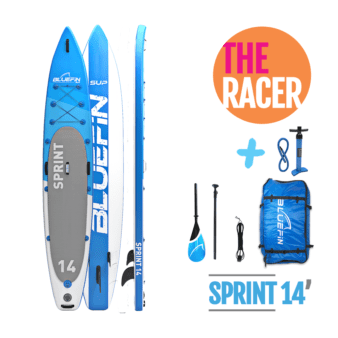 The package includes a high pressure pump, carry bag, repair kit and two piece sports paddle. 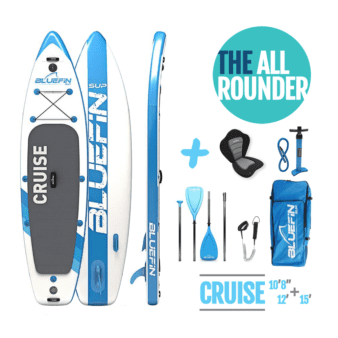 Due to this you can get paddling straight away with the Bluefin Inflatable Stand Up Paddle Board package. In addition to this all customers receive a 12 month warranty and lifetime support. 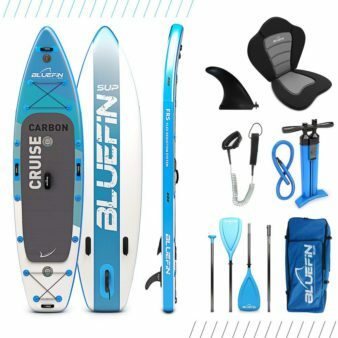 Customers can use our stand up paddle boards on all types of water, inflatable to 15PSI our paddle boards are stiff and responsive, giving excellent control in all conditions. 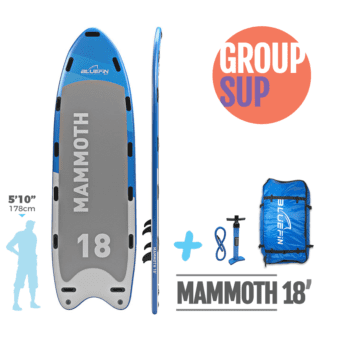 Are you looking for your next inflatable SUP or a paddle board for sale? Keep scrolling.